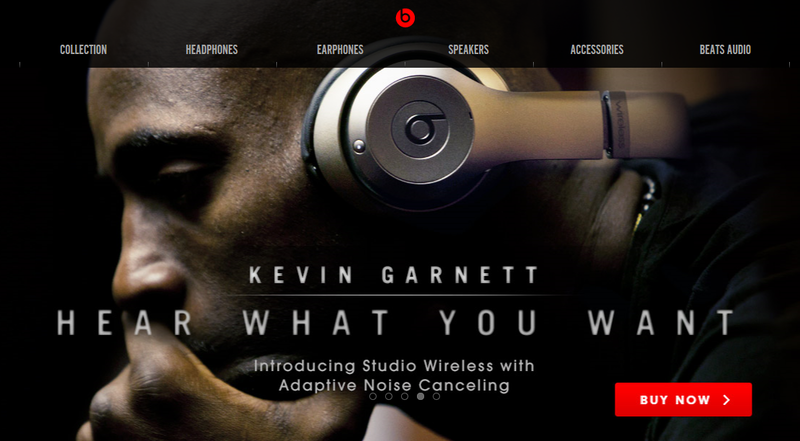 Beats by Dr. Dre has a very popular product line for college students, athletes, and music aficionados. The company has successfully used both traditional marketing as well as guerrilla marketing to promote products. This time, Beats is taking the traditional approach of TV advertising to showcase how its headphones help professional athletes prepare for the big game and block out obnoxious fans from the rival teams. Screaming obscenities and waving derogatory signs as the bus drives onto to unnamed arena (that looks strangely like New York). The abuse continues as the players enter the tunnel and the game court. In the video, featuring a new song by R&B singer Aloe Blaac, Garnet uses the Beats headphones to block out noise and help prepare for the game. A similar ad has also been produced featuring San Francisco 49ers quarterback Colin Kaepernick. While the main theme is sports, the message is expected to resonate with people who face challenges and distractions every day at home, work, and school. Music helps us block out the unwanted noise and focus on the positive. On the white board, have students list all the potential target market segments that might purchase Beats. Divide students into teams and have each team develop a profile for a different market segment. Include demographics, psychographics, attitudes, values, and behaviors. Debrief the exercise by comparing the target markets.